Improved ability to scale phone lines. Better business continuity and disaster recovery. For in-depth info on your technical options, check out SIP Trunking vs. Hosted PBX: What's the Difference? 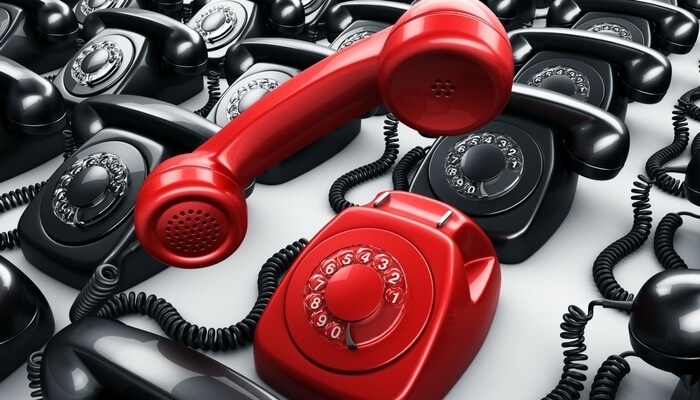 If you're making the switch from on-premises VoIP or plain old telephones (POTs) to Hosted PBX, you may be overwhelmed by the sheer number of vendors on the market. These include everything from sophisticated consultants with a full suite of business communications services to far more bare-bones offerings. To help you make the decision that's right for your organization's needs, join us as we review 5 of the most well-known hosted PBX providers in the U.S.
One of the most popular choices for hosted PBX, Ring Central provides low-cost, cloud-based phone systems for companies worldwide. While this organization's offerings primarily consist of VoIP, other services include basic add-on features like mobile call handling, voicemail, and some faxing. There is also the potential to integrate your Ring Central phones with some common business apps, including Box, Dropbox, Google, and others. You need a low-cost, relatively basic hosted PBX option. You are satisfied with your existing business communications aside from VoIP. iCore Networks, which is now a part of Vonage Business, offers business class VoIP with many of the most popular benefits, including mobility, the potential for contact center services, and video conferencing. This platform can be integrated with Microsoft Exchange, SharePoint, and Lync (now Skype for Business), and offers some additional add-on services if you are interested in unified business communications. You are comfortable with committing more technical or fiscal resources towards complex implementations (i.e. contact center). 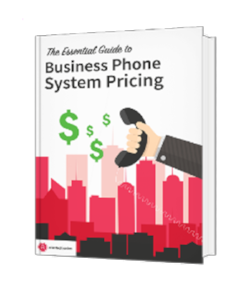 You want to pick and choose add-on VoIP services based on their pricing model. You want to purchase (or manage your own) optional in-house VoIP training. 8 x 8, much like Ring Central, is a VoIP solution that's designed specifically for ease-of-use and cost efficiency. Their primary service offerings include business phone systems, Hosted PBX for contact centers, and some limited unified communications offerings. If you're a serious DIY-er, you may like 8 x 8's "Academy" or the fact that their support offerings are heavily focused on online courses on-demand. You are considering mobile-only VoIP with no handsets. You are looking for strong basic VoIP functionality at a low price. You have no interest in custom app integration (8 x 8 does NOT offer open APIs). XO is a nationwide provider of "data and IP services," which includes VoIP. A slightly more complex offering than the first three hosted PBX providers listed here, XO focuses on delivering a lower investment cost to businesses with complex telephony needs. Some of their add-on services can include group call handling, mobile consolidation, and flexible call routing. Your organization needs a highly-flexible PBX implementation without the upfront investment of on-premises VoIP. You are comfortable signing a long-term contract for hosted PBX services. You have limited needs for support based on in-house VoIP expertise. Atlantech Online is a trusted provider of unified business communications services, which include hosted PBX for organizations of all sizes. Other complementary business offerings include Internet or Point-to-Point connectivity over fiber, data center, and even inside wiring. Everything you need for business telecommunications can be delivered by Atlantech Online. Atlantech specializes in security and reliability by keeping their voice communications on their own network as opposed to transmitting calls over the top via public internet connectivity. In addition, customers can access 24/7/365 support from in-house experts. You need security, reliability, and business continuity from your PBX host vendor. You want expert assistance with implementation and best-of-class support post-implementation. You want to appreciate the benefits of unified communications now or in the future. Why does a full-service provider matter? To learn more, click over to How to Boost Business by Leveraging Unified Business Communications Tools. How Do I Know Which Hosted PBX Vendor is Right For Me? Do you need just plain hosted PBX or full unified business communications? How much support do you need to get started and to maintain your phone system? Does your business model or industry demand intense attention to security, reliability, and uptime? Do you require a communications vendor who is compliant with HIPAA, PCI, or other regulatory measures? Ultimately, the right VoIP vendor for you is the one who offers the right amount of support and flexibility at a price you can afford. If you're not exactly sure what your business requirements are, it may be wise to start your search by talking to an expert. Atlantech Online specializes in helping businesses find the right approach to business communications. This means we take a no-pressure, sales-pitch-free approach to answering questions from businesses who are just starting their transition to hosted PBX. To start a complimentary consultation today, click here. Get all the information you need to make the smartest decision for your business’ communications. Tom Collins (Twitter, LinkedIn) - is the Director of Enterprise Sales & Marketing for Atlantech Online. He has over 20 years of professional experience in the Internet Service Provider industry and is known for translating technology into positive results for business. A native of Washington, DC, a graduate from University of Maryland (degrees in Government & Politics and Secondary Education), Tom is also a five-time Ironman finisher. © 2018 Atlantech Online, Inc.